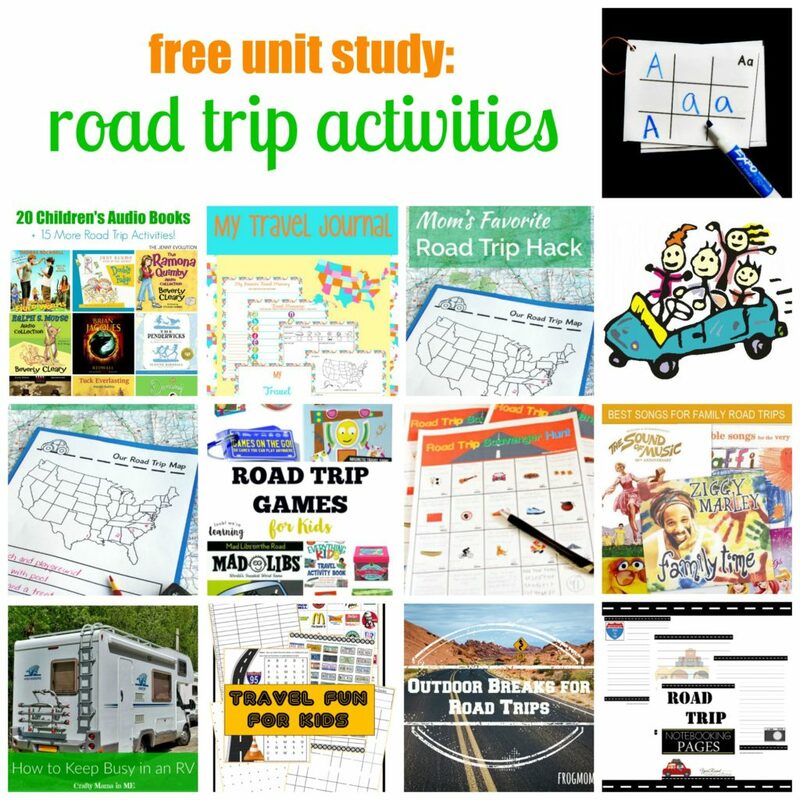 Use these road trip games to make a fun car-themed thematic unit for the classroom. 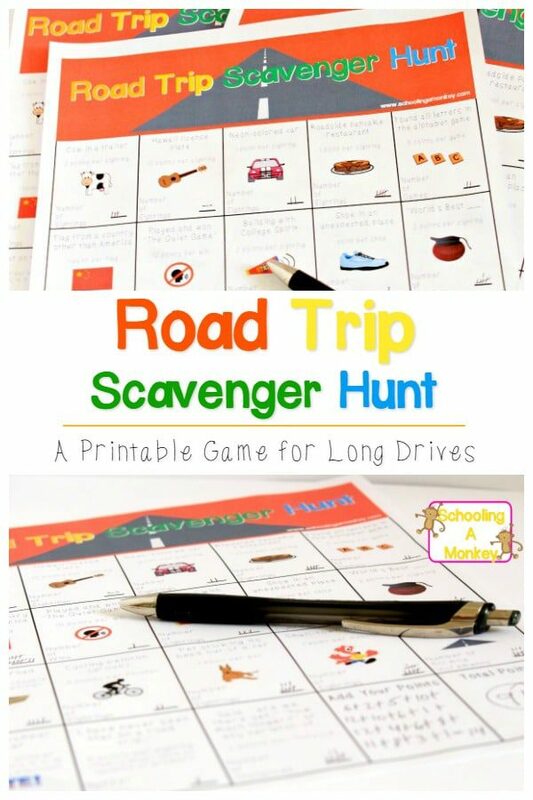 We we go on a road trip, I love finding quality games to play in the car for my kids. Without these car games, our kids tend to play handheld games or fight with each other. Bo isn’t yet old enough to read, and Monkey considers reading against her will just short of torture, so we have to play car games for girls instead! I came up for the idea for this game to play in the car so we can take it on our next road trip. I made it just fun enough that Mom and Dad may want to play along, too! Find tons of simple and fun scree-free activities for kids here! 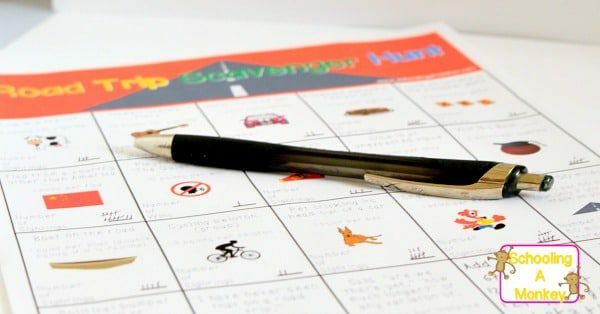 This printable scavenger hunt has a list of things that you might see on a road trip. Each item is assigned a point value. To play, simply record how many of each item on the list you see, then when you arrive at your destination, count up the points and see who wins! 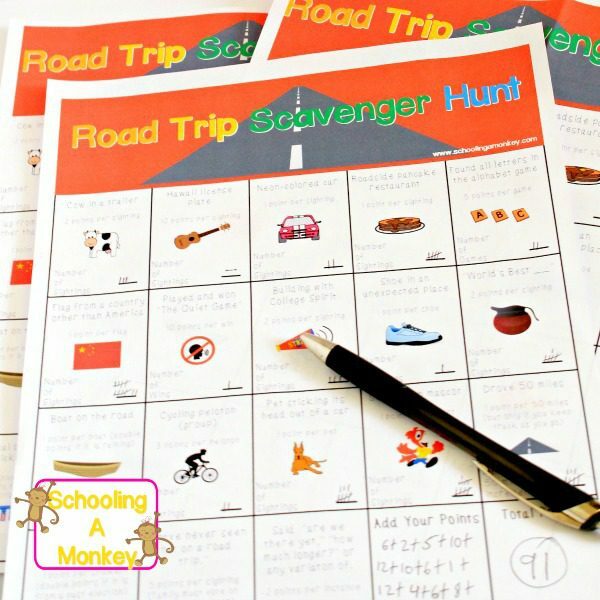 Get the road trip scavenger hunt printable here!